You know the value of PR; that’s why you’re here. But how do you land great PR? That’s the million-dollar question! The answer is actually quite simple: It takes a little action and know-how. A microlearning experience designed for the busy entrepreneur, our action guide walks you step-by-step through how to land the media coverage you desire and shows you exactly how to answer essential questions for grabbing the media’s attention. What does it take to make a great first impression? Who is my perfect media match? This guide will not teach you everything we know about PR. After all, it’s not about you being publicist, right? 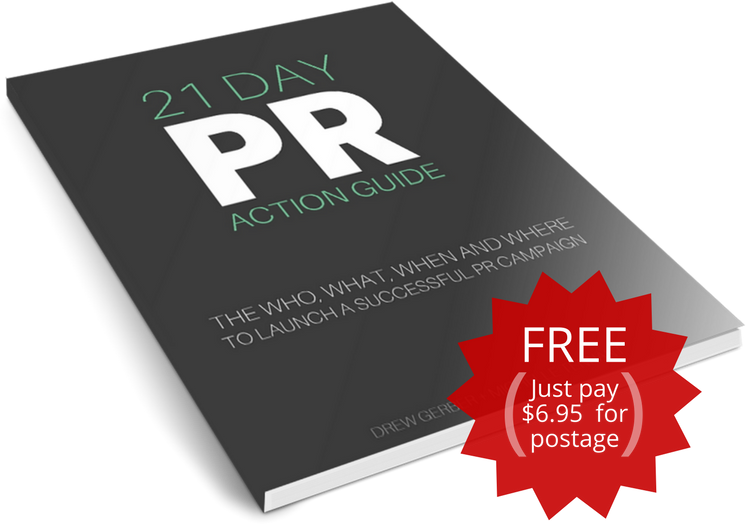 It’s about learning exactly how to launch a PR campaign, and how to do it in 21 days. We’re confident you’ll have a good foundation and the skills needed to land great media coverage. But just to be clear, in order for that to happen, ACTION IS NEEDED! How much action? The guide is designed for a 30-minute time investment each day for 21 days. These modules are designed so you can walk away with the keys to unlocking the mysteries of PR [queue music: “Dun Dun Dun Duuuun!!”]. Really! 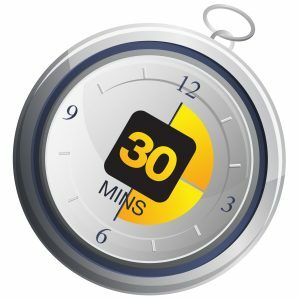 It’s a practical guide to show you not only why we do what we do, but also how to do it for yourself in as little as 30 minutes a day. Now that we’ve handled any time concerns you might’ve had, let’s talk about money. Look, we know you want to make a difference and we want to help you do that. We’re out to change the world, after all. So we’ve made this guidebook super affordable – just pay $6.95 to cover the cost of priority mail shipping. Why? Because when the media speaks, the world listens [and Lord knows we need to change what they’re talking about]. Help us change the world by putting this PR Action Guide into action! Did you write an Amazon Verified Purchase review on or before June 6, 2016? Pay it forward. Share this page! Please complete this form AFTER you've posted your Verified Purchase review on Amazon.